For them, a new way to think about time: Last week, fifteen newly arrived apprentices took up their studies at Glashütte Original's “Alfred Helwig” School of Watchmaking. They will focus on two major areas of interest: along with twelve students of watchmaking, three future toolmakers are looking forward to their initiation into an art that is both modern and rich in tradition at once. The new arrivals were offered a warm welcome at a festive inaugural event in Glashütte. The newcomers bring the number of apprentices learning their trade at Glashütte Original next year to more than 40. They follow in the footsteps of some 250 successful graduates who began their careers here in the years since 2001. In their first few days the members of the class of 2018 were introduced to the persons responsible for their training, and to characteristic features of the school. They also gained inspirational insight into the past and present of their craft, thanks to tours of the German Watch Museum Glashütte and the Glashütte Original manufactory. 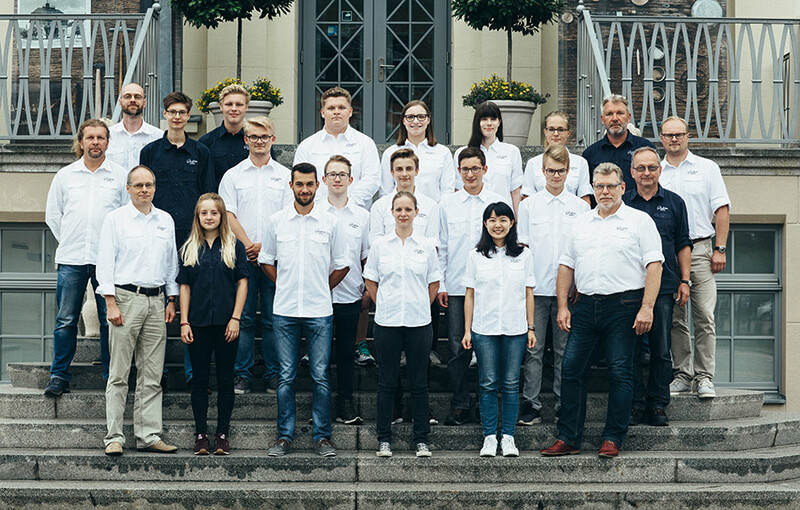 This year's class is a colourful mix, as diverse as the tasks that await them: young women – five watchmakers-to-be and one future toolmaker – and young men from different regions in Germany chose the renowned training programme at Glashütte Original. One new student in particular, however, had to overcome a daunting challenge in order to join her classmates: an applicant from Taiwan had to sit a special examination in the German language before she could register for her apprenticeship at the renowned watchmaking school. Having cleared that first hurdle, she can now look forward, along with her 14 new colleagues, to taking the future of the art of watchmaking into her own hands. To secure the future of the craft, the Glashütte watchmaking industry has always placed great importance on comprehensive theoretical and practical training. Aware of its responsibilities in this regard, Glashütte Original committed to continuing this tradition with its own “Alfred Helwig” School of Watchmaking. In bright, well-lit classrooms, experienced instructors take advantage of state-of-the-art technology to pass on their tradecraft to their students. Tomorrow's watch and tool experts also take part in a regular series of hands-on training sessions in selected departments of the manufactory, where they learn to make practical use of the knowledge and skills they have acquired. Thanks to the school's partnership with WOSTEP (Watchmakers of Switzerland Training and Educational Program) the young graduates can also earn, in addition to their German leaving certificate, a Swiss diploma – thus opening up international career prospects. · Representatives of the school will be on hand for the “Education Action Day” at the Dresden International Chamber of Commerce on 22 September 2018. · Persons interested in the “Alfred Helwig” School of Watchmaking and attractive opportunities in the watchmaking industry may wish to visit the school on October 20, 2018 for its “Open House” information day. · The school will also attend the “2019 KarriereStart” education and training fair, set for 18‑20 January 2019 at the Dresden Exhibition Centre.